This year we combined SharePoint Saturday and SQL Saturday as the first ever event of its kind in the world. We believed that the synergistic relationship between the two communities would add great value for both the attendees and sponsors of the event. Added to that we also hosted a Friday event for CxO’s called “SharePoint Success Stories” which was received with great enthusiasm. 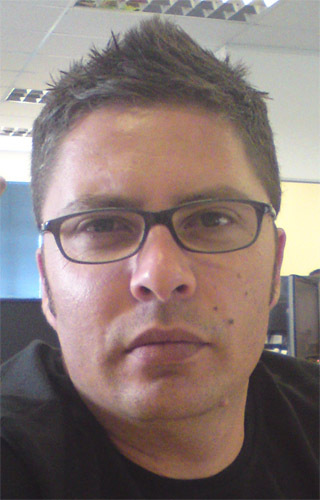 SharePoint Saturday Cape Town was launched in 2008 by Zlatan Dzinic with the help of me who took over the reins back in 2010 when Zlatan left the country for Dubai. Zlatan now lives in California. The event was held at Sanlam’s Head office in Cape Town, South Africa, on the 7th September 2013. Sanlam’s Naz Parker has been gracious enough to sponsor the event for the 3rd year running and we are very fortunate to have access to such a great facility. With over 30 sessions, delegates had a wide variety of informative topics to choose from. 20 SharePoint and 12 SQL sessions, all attendees were definitely spoilt for choice. Added to that, we had 7 MVP’s (4 local and 3 international) provide their expertise on the day. Sponsors are pivotal to the success of events like Community Saturday. We are extremely thankful for their continued support and this year was no exception. All delegates received a welcome kit which included a delegate t-shirt, neoprene notebook sleeve bag, branded stationery, including some other awesome goodies and were served breakfast and lunch with our usual “SharePint” which Microsoft South Africa provided in the form of a mobile bar that was erected specially for the event. Prizes included Tablets, vouchers, speakers, mice, etc. Delegates started arriving at 7:30am. We had people queueing to get in, registration only started at 8:30am. 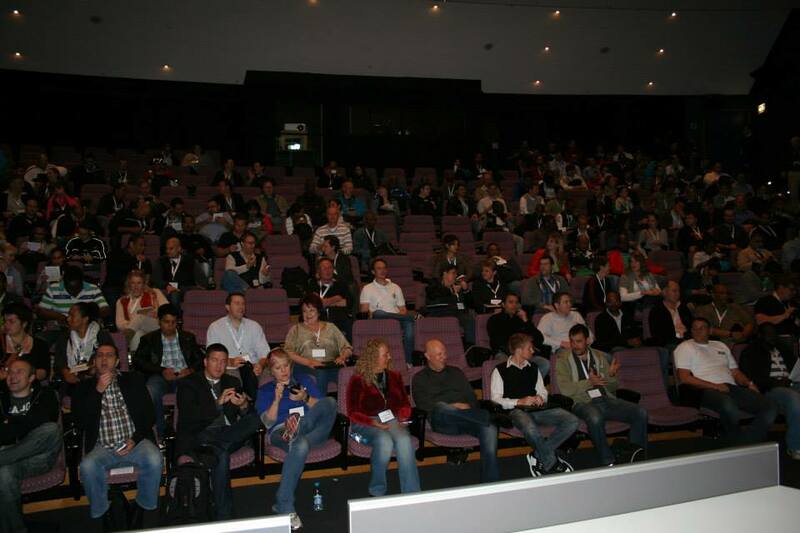 The opening and keynote had filled the 243 seater auditorium with standing room only. 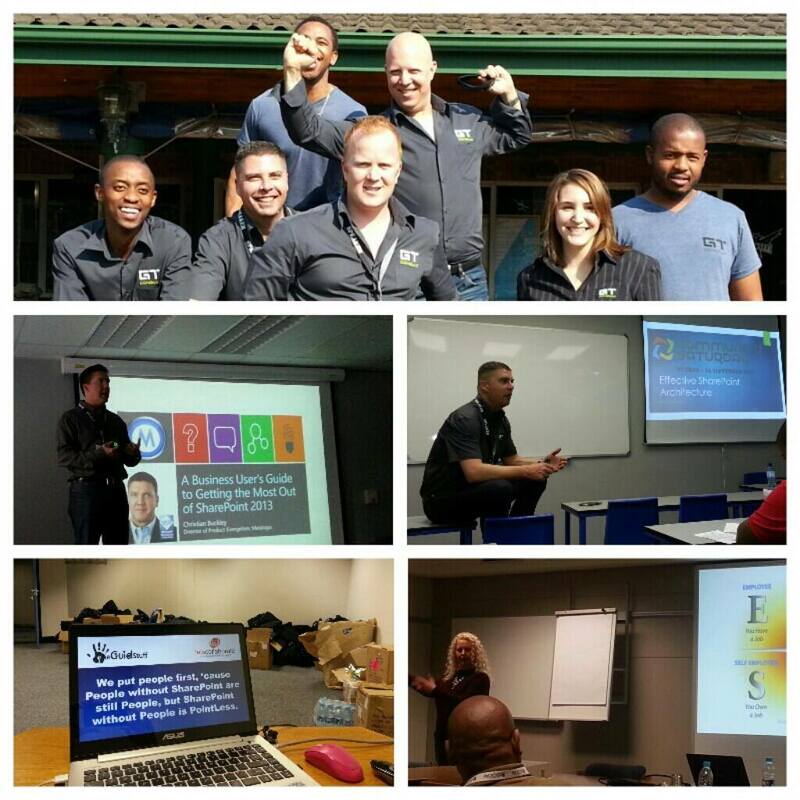 Following the success of Community Saturday Cape Town, a handful of the speakers travelled to Durban for the launch of the first SharePoint Saturday in this city. 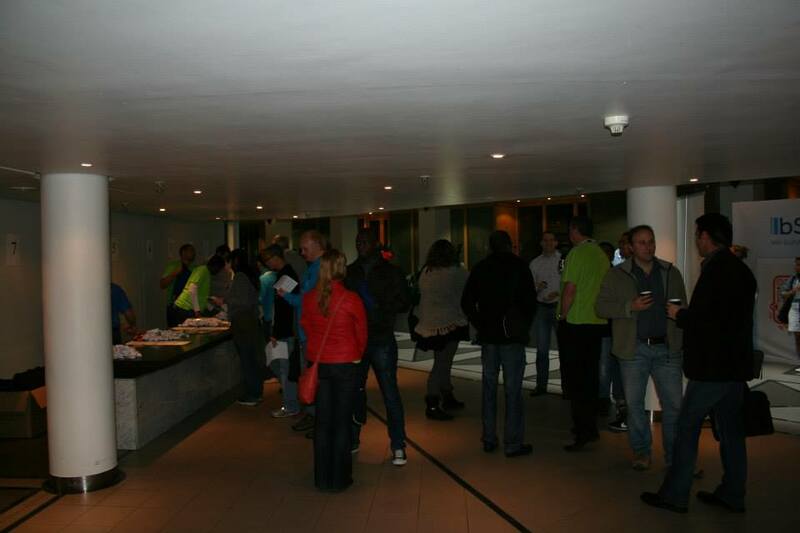 As a first time in the city, SharePoint Saturday Durban had just over 40 attendees with 12 sessions. 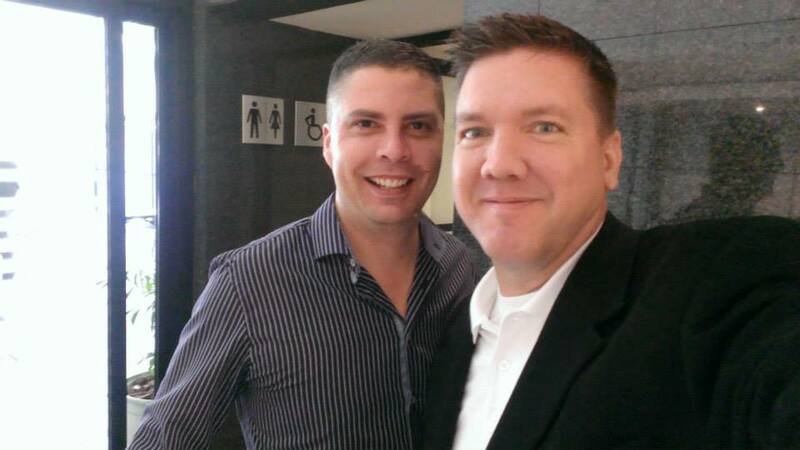 Bradley Geldenhuys, our resident O365 evangelist, who resides in Durban put together the event, spearheading the launch. Last year, as part of the Sharing the Point Africa tour, we launched a community in Kenya and this year, on the 21st September they ran their very own SharePoint Saturday. We are very proud to have assisted in building community there. Next year we plan to expand our reach to other countries in Africa, adding one a year. Community is what it is all about. Our motto in South Africa is “Learning through Sharing”. Outside of Community Saturday, we have our Community Nights in Johannesburg, Cape Town and Durban monthly. A few pics from the event. 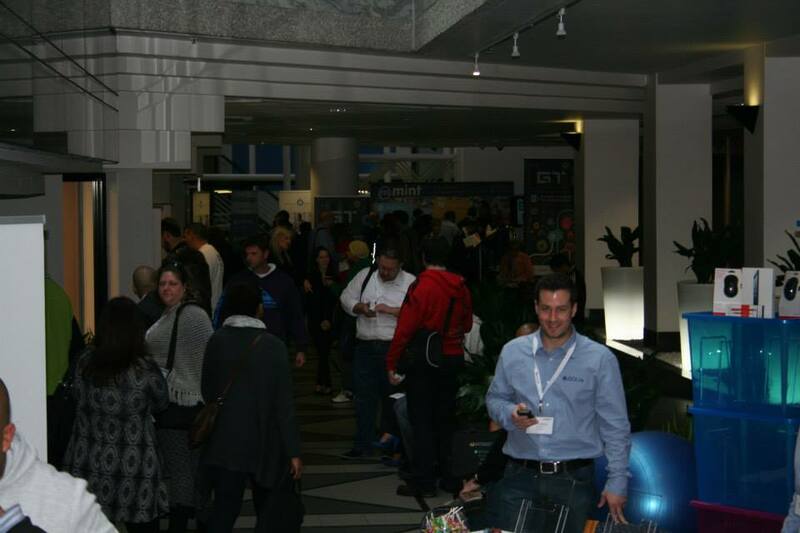 I would like to find out when the SharePoint Saturday 2014 in Durban will take place.